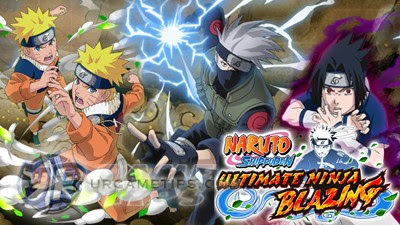 Here's a list of 6* Star Ninjas that are ranked under Rank S, currently available in the Android and iOS mobile game: NARUTO SHIPPUDEN: Ultimate Ninja Blazing. - Max Lvl is 100, but some selected ninjas can be Limit Broken up to Lvl 150. - Gets higher overall stats, skill proc rate, damage output, and number of passive ability slots. - Only 6* ninjas can unlock and use Secret Techniques. Together with Ninjutsu skills, both will also get a new animation and/or audio effect. Field Skill 23%-46% chance of attacking back when receiving an attack. HP STR Buddy Skill Boosts Attack by 115. Field Skill Reduces chance of being countered by 25%-50%. Basic Info Range: Long; Impact-Raid Character; Limit Break Capable! Field Skill Reduces the chance of receiving jutsu sealing by 20%-25% (Not Field Skills). HP STR Buddy Skill Reduces the chance of receiving jutsu sealing by 25% (Not Field Skills). Basic Info Range: Short; Limit Break Capable! Field Skill Reduces Body-elemental damage by 15%-20%. HP STR Buddy Skill 15% chance of dodging an attack. Basic Info Range: Mid; Limit Break Capable! Field Skill Boosts critical rate by 1.4-1.9x. HP STR Buddy Skill Reduces Skill-elemental damage by 20%. HP STR Buddy Skill Boosts Heart-elemental Attack by 250. Field Skill Reduces Skill-elemental damage by 10%-15%. Basic Info Range: Long; Blazing Festival Only ; Limit Break Capable! Field Skill Reduces Skill-elemental damage by 15%-20%. HP STR Buddy Skill Reduces the chance of receiving immobilization by 25% (Not Field Skills). Basic Info Range: Long; Limit Break Capable! HP STR Buddy Skill Boosts critical rate by 2.25x. Basic Info Range: Short; Impact-Raid Character; Limit Break Capable! Field Skill Reduces the chance of your attack being reduced by 20%-25% (Not Field Skills). HP STR Buddy Skill Reduces the chance of your attack being reduced by 25% (Not Field Skills). HP STR Buddy Skill Reduces Skill-elemental damage by 15%. Field Skill Boosts Attack by 80-160. Field Skill Reduces the chance of receiving immobilization by 20%-25% (Not Field Skills). HP STR Buddy Skill Reduces damage by 20%. Field Skill Boosts Heart-elemental Attack by 175-350. Field Skill Reduces damage by 15%-20%. HP STR Buddy Skill Reduces damage by 15%. Field Skill Reduces Heart-elemental damage by 10%-15%. Field Skill 25%-50% chance of attacking back when receiving an attack. HP STR Buddy Skill Reduces Body-elemental damage by 20%. Field Skill Reduces Heart-elemental damage by 15%-20%. Field Skill Boosts Skill-elemental Attack by 150-300. Field Skill 28%-56% chance of attacking back when receiving an attack. Field Skill Reduces the chance of receiving immobilization by 25%-30% (Not Field Skills). HP STR Buddy Skill Reduces the chance of receiving immobilization by 35% (Not Field Skills). Field Skill Boosts Attack by 75-150. HP STR Buddy Skill Boosts Attack by 95. Field Skill Boosts Body-elemental Attack by 150-300. Field Skill Reduces Wisdom-elemental damage by 20%-25%. HP STR Buddy Skill Reduces Wisdom-elemental damage by 30%. Field Skill Boosts critical rate by 1.4x-1.9x. HP STR Buddy Skill Boosts Bravery-elemental Attack by 250. Field Skill Reduces Wisdom-elemental damage by 20%~25%. HP STR Buddy Skill Reduces Heart-elemental damage by 20%. Field Skill Reduces the chance of receiving immobilization by 15%-20% (Not Field Skills)..
HP STR Buddy Skill Restores 120 HP. HP STR Buddy Skill Boosts Attack by 130. Basic Info Range: Mid; Impact-Raid Character; Limit Break Capable! HP STR Buddy Skill Reduces the chance of receiving jutsu sealing by 20% (Not Field Skills). Field Skill Boosts Attack by 90-180. HP STR Buddy Skill Boosts Wisdom-elemental Attack by 250. Basic Info Range: Mid; Blazing Festival Only ; Limit Break Capable! Field Skill Reduces damage by 10%-15%. HP STR Buddy Skill Reduces Brave-elemental damage by 30%. Field Skill Boosts Attack by 100-200. Field Skill Restores 150-200 health. HP STR Buddy Skill Boosts Heart-elemental Attack by 300. Field Skill 30%-60% chance of attacking back when receiving an attack. HP STR Buddy Skill Reduces the chance of receiving immobilization by 30% (Not Field Skills). - Limited Summon Events Only : Ninjas that can only be summoned during the specified banner event. - Special Purchase: Only available by purchasing event based Pearl Bundles from the Shop. - Granny Cat's Hiding Place: Use Granny Cat Coins to purchase these units from the Shop. 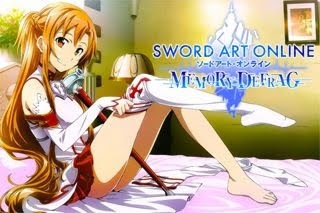 - Phantom Castle Reward: Special reward from monthly Phantom Castle top rankings. - Story Mode Drop: Means you can farm them from Story Mode. - The list above is currently sorted by Tier Rank > Element > Jutsu Type. - Short ranged ninjas will naturally get higher Base Stats to compensate their range, while Long ranged ninjas will get a lower stats growth rate.